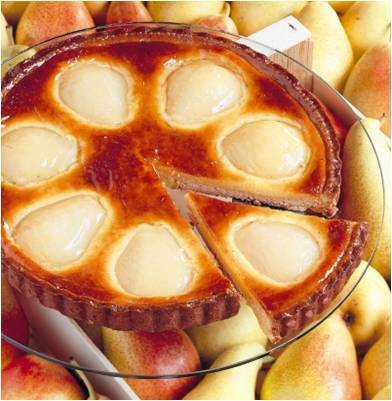 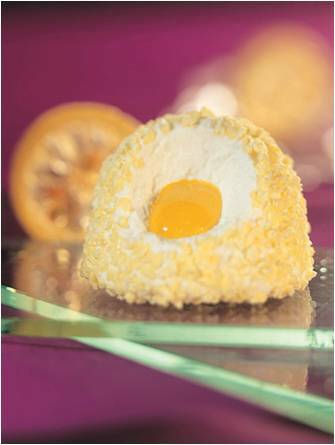 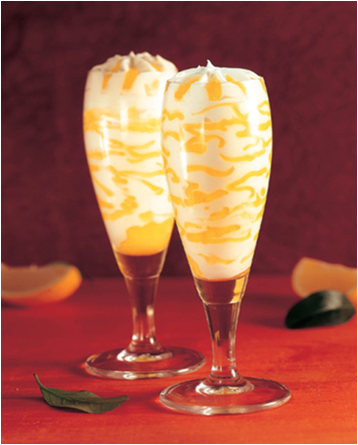 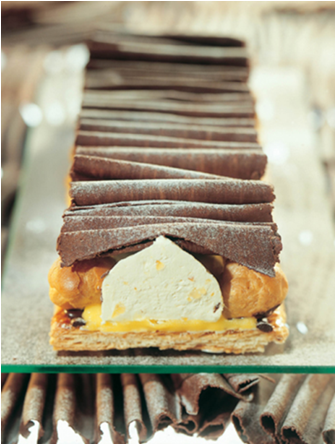 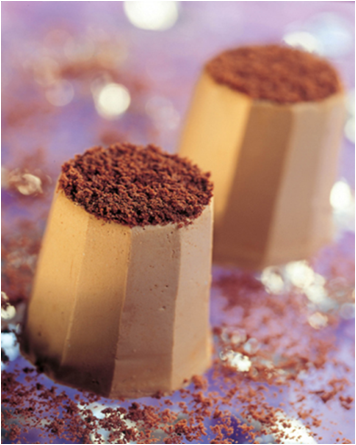 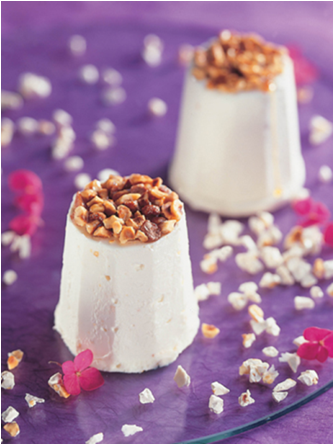 Our decadent Bindi Desserts provide a delicate balance between sophisticated style, quality and luxurious taste. 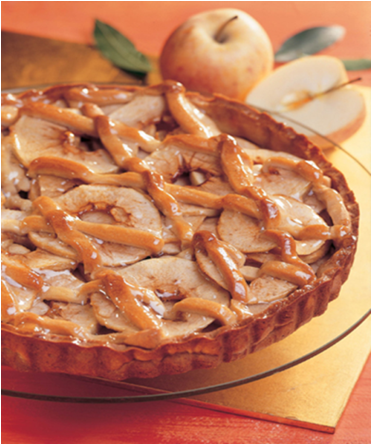 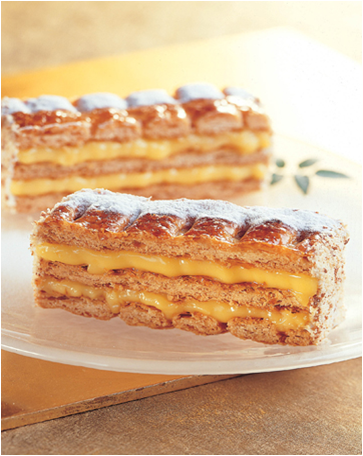 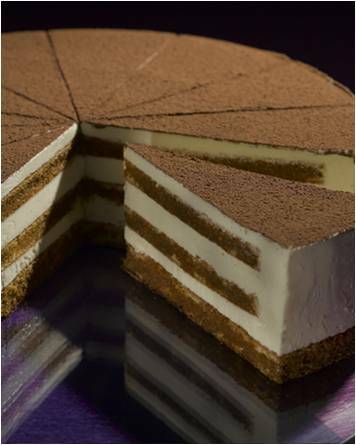 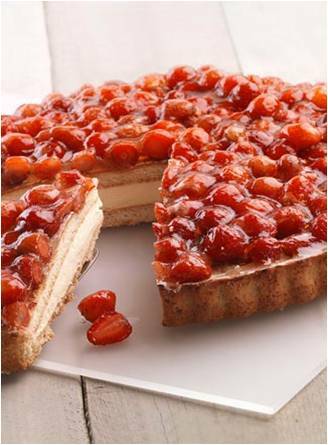 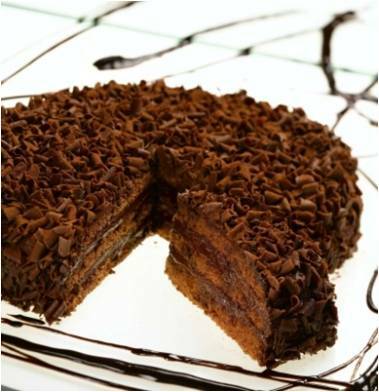 Bindi has been producing mouth watering desserts since 1946. 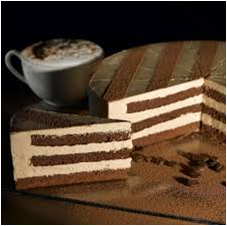 In that time they have ensured that the simple cake has been transformed into art. 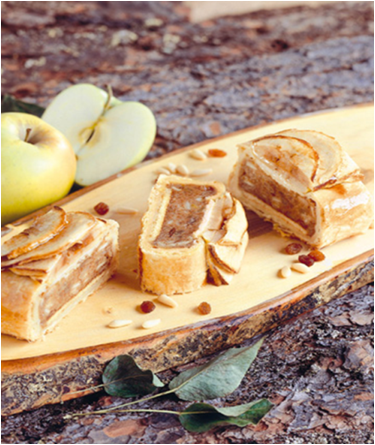 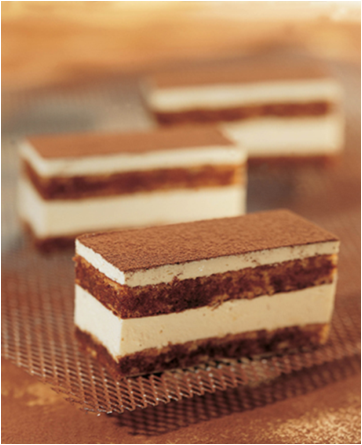 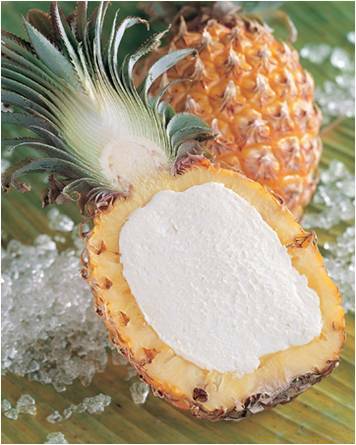 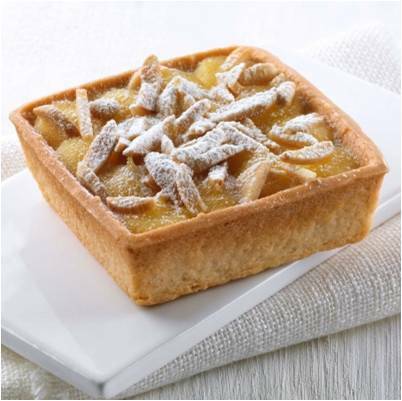 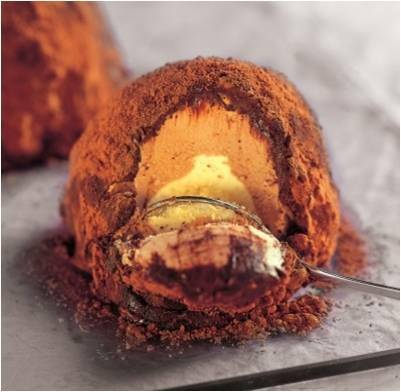 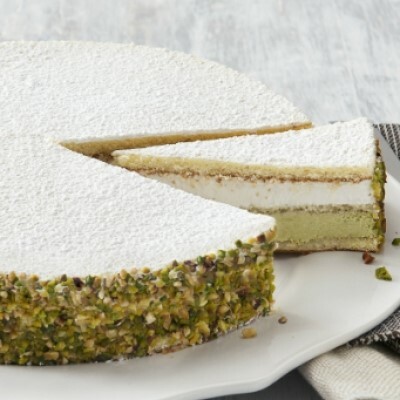 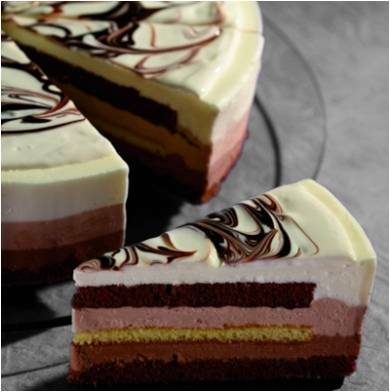 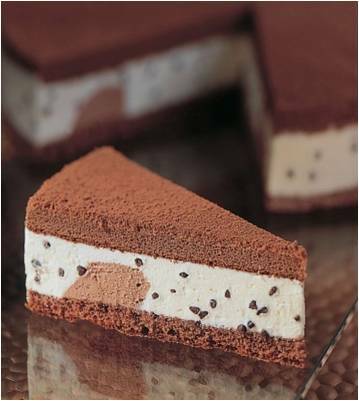 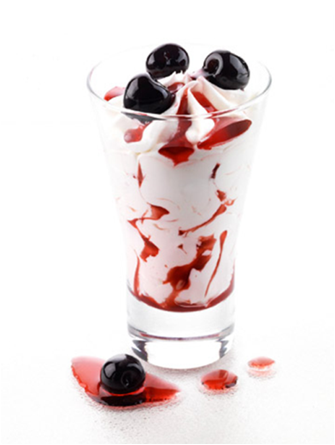 To ensure that the taste and quality are not compromised, all Bindi Desserts are delivered to you frozen. 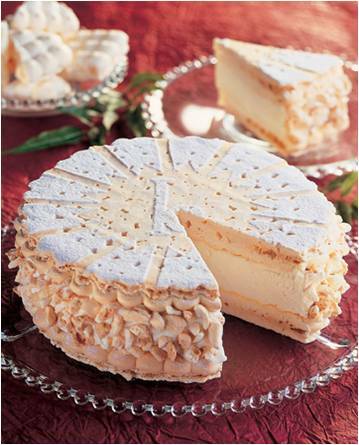 For best results all cakes should be defrosted in the refrigerator overnight. 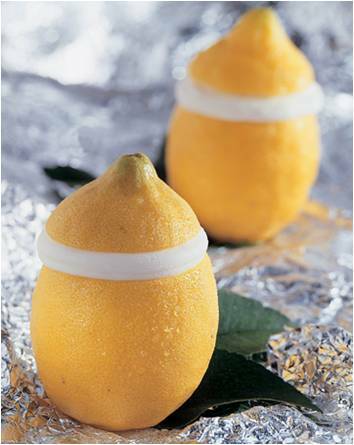 Once defrosted they should be consumed within ten days. 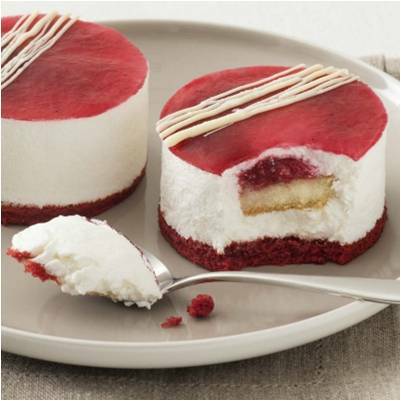 Classic combination of strawberries and cream. 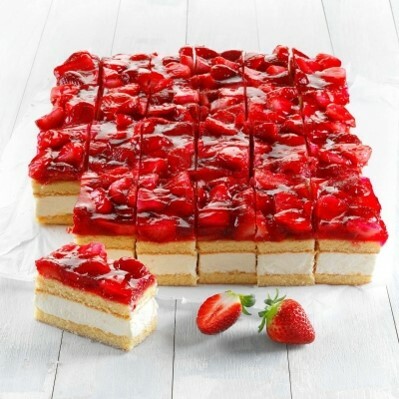 Vanilla cream sandwiched between layers of light sponge cake topped with fresh strawberries Pre-cut for portion control. 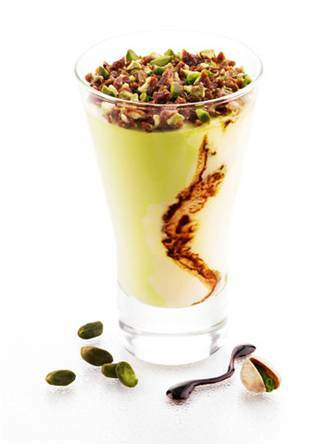 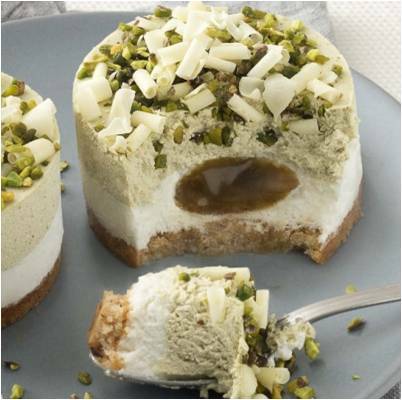 Zambaglione gelato swirled together with chocolate and pistachio gelato Topped with praline pistachios. 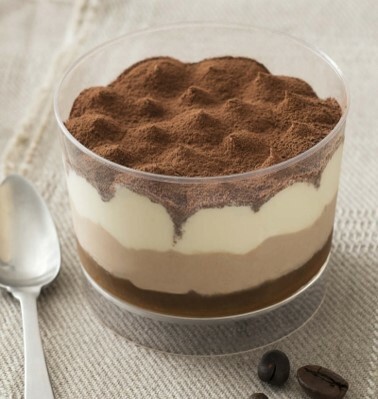 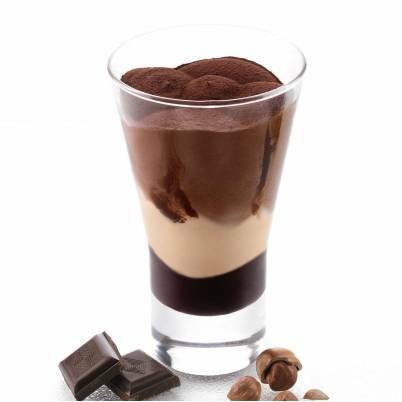 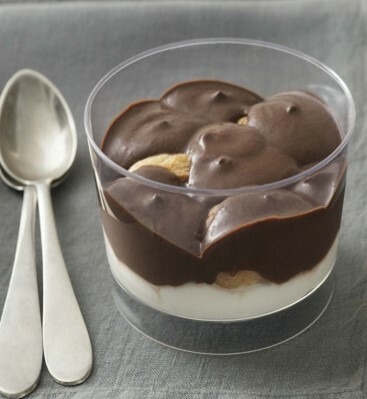 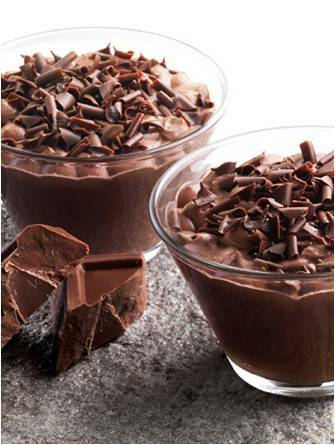 Decadent chocolate mousse and zabaglione Topped with chocolate curls Presented in a glass cup. 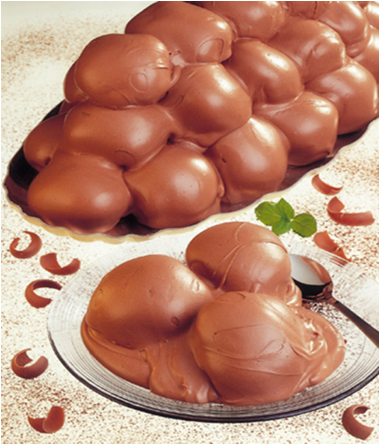 Cream puffs filled with chantilly cream, enrobed in milk chocolate mousse. 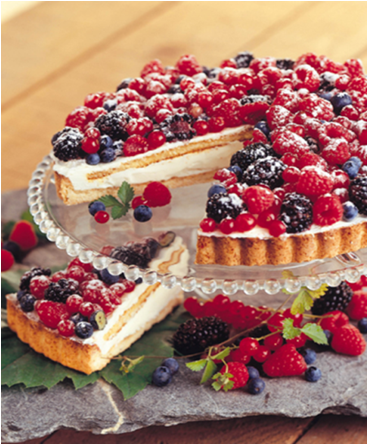 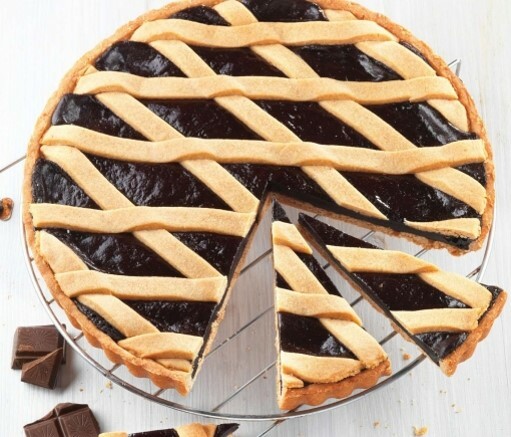 Shortcrust base filled with Chantilly cream covered with raspberries, blackberries, blueberries, and red currants. 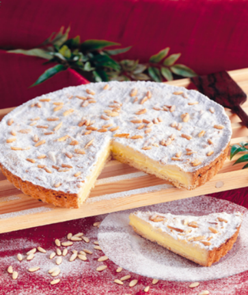 Dusted with icing sugar.